When I was preparing for Pirate Week, I found the most precious blog called EVERY STAR IS DIFFERENT. 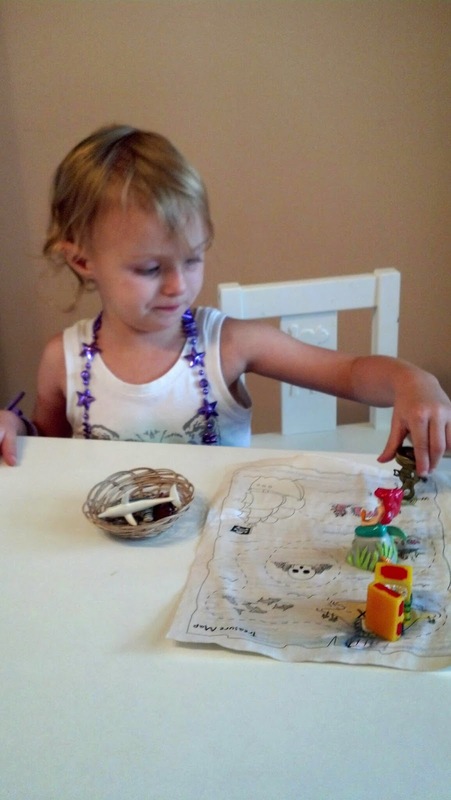 She had some great ideas for a pirate theme, and "borrowed" two of them. 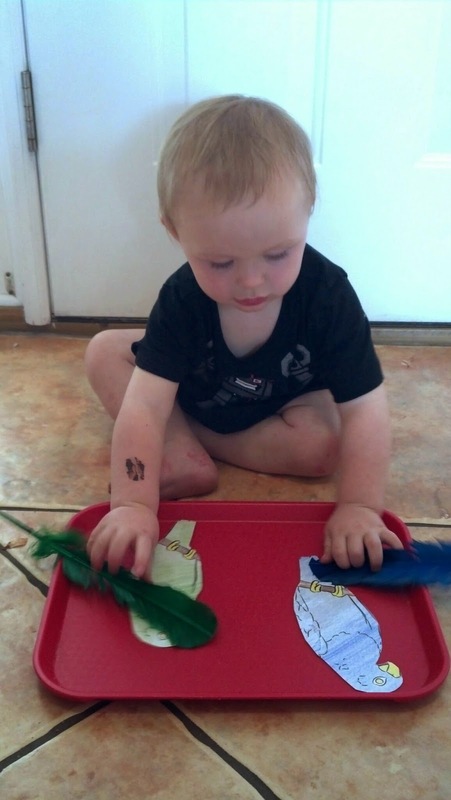 The first idea was to print out photos of birds and have Son match them to the same colored feathers. I started with 3 birds, but he really did not understand what to do. When I gave him two birds he had a 50/50 shot at getting the feathers matched correctly. So when he matched them correctly I cheered and so did he. He started getting them correct a little more often, but now I have no idea if he understands the concept or not. 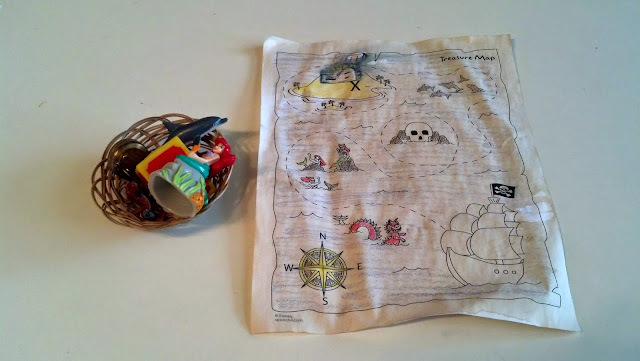 Like I said, I found this idea on EVERY STAR IS DIFFERENT and if you would like to see her pirate totschool ideas, go HERE.